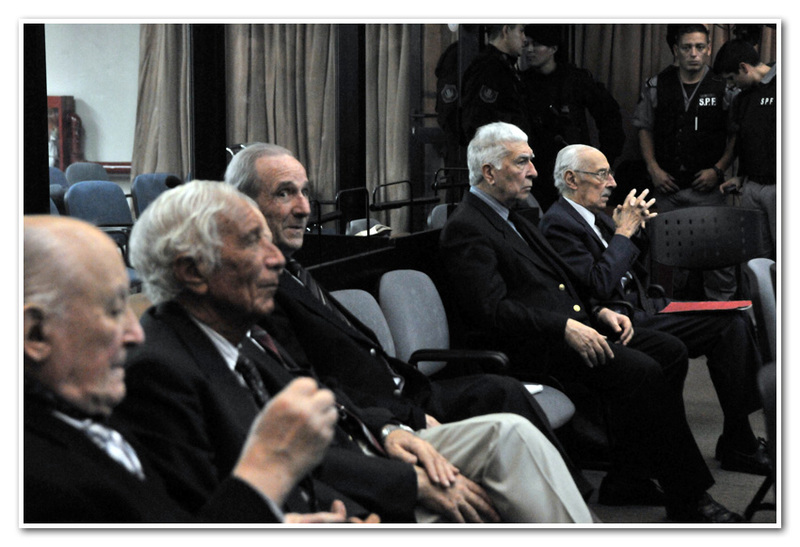 Several defendants during the proceedings at the historic Condor trial in Buenos Aires. Among the 25 high-ranking officials originally charged were former Argentine presidents Jorge Videla (deceased) and Reynaldo Bignone (aged 87). Por Elena Llorente, Pagina Doce, May 23, 2016. Dos testigos declararon por la causa del Plan Cóndor en Roma: Carlos Osorio y Daoiz Uriarte. Nadia Angelucci, La Diaria, May 23, 2016. Director del prestigioso Proyecto Documentación Cono Sur del Archivo de Seguridad Nacional en Washington, habló en el juicio en Buenos Aires. “Plan Condor,” as the Argentine ruling refers to the operations, represented a sinister collaboration between the secret police services of the Southern Cone military dictatorships dedicated to tracking down, kidnapping, torturing and disappearing opponents of their regimes between 1975 and 1980. Operation Condor was founded during a secret, November 1975, meeting hosted by Gen. Augusto Pinochet’s secret police, DINA, in Santiago, Chile; it was named after Chile’s national bird, the Andean Condor. A declassified FBI document that the Archive provided to prosecutors for the trial stated that “a third and most secret phase of ‘Operation Condor’ involves the formation of special teams from member countries who are to travel anywhere in the world to non-member countries to carry out sanctions up to assassination….” The car-bomb murder of former Chilean diplomat Orlando Letelier and his American colleague, Ronni Karpen Moffitt, in downtown Washington D.C. on September 21, 1976, became the most infamous of Condor assassination plots. Prosecutors identified 169 victims of Condor operations in Argentina, among them 36 Argentines, 9 Bolivians, 20 Chileans, 2 Cubans, 11 Paraguayans, 1 Peruvian, 83 Uruguayans and 9 individuals of unknown nationality. Eighteen former military and intelligence officers were accused, including the last head of the military junta, Gen. Reynaldo Bignogne. Six of those accused died during the course of the 3-year trial, among them the first head of the Argentine Junta, Gen. Rafael Videla. Besides Osorio, Archive Senior Analyst and author of The Pinochet File, Peter Kornbluh, testified at the Condor trial, along with Archive advisory board member John Dinges, author of The Condor Years. Osorio supplied the court with 900 declassified records, many of which provided critical evidence for the proceedings. In final arguments presented to the judges, prosecutors cited the Archive's documents some 150 times. The Archive today posted a series of declassified U.S. documents that were used in the trial and that tell the story of Operation Condor, what U.S. officials knew, when they knew it, and what they did and did not do with that knowledge. Watch Archive analyst Carlos Osorio’s testimony at the trial where he provided hundreds of declassified documents as evidence.